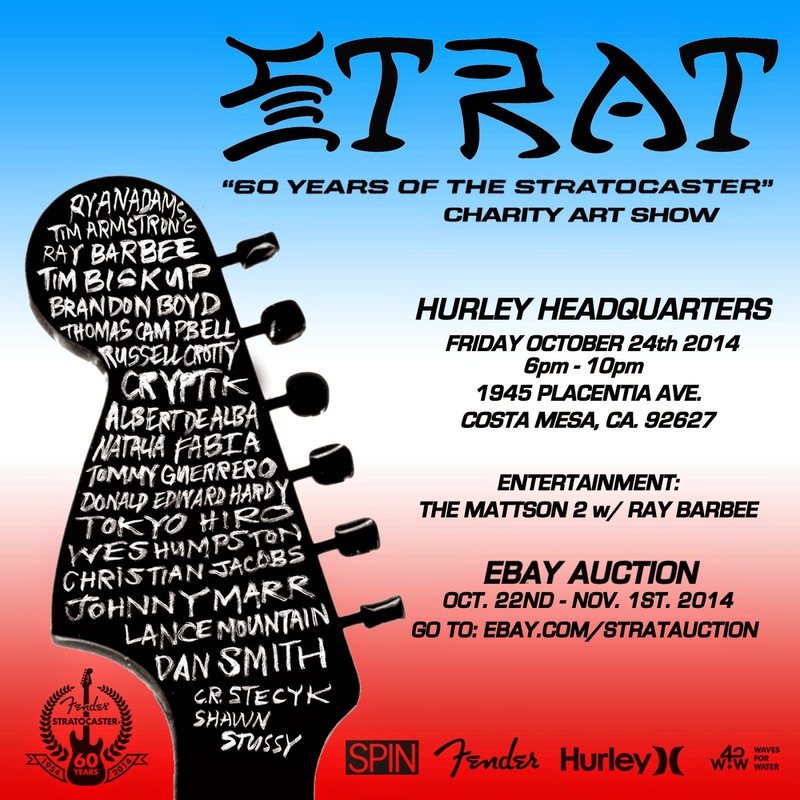 Hey, if you wanted a cool thing to do Friday night, head down to Hurley HQ in Costa Mesa and see art by a bunch of people of whom you enjoy the creative output. And I believe it's free. And maybe you can win some cool art in an auction. And meet famous people. And just generally be rock and roll.